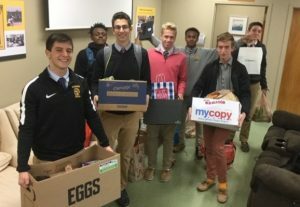 Modelled after the life of Christ who “did not come to be served but to serve” (Mt 20:28) and inspired by the words of St. Ignatius, Christian service is an intrinsic part of the education and formation of students at McQuaid Jesuit. McQuaid Jesuit believes that experiences of service are as valuable as time spent in the classroom. Middle school and high school students have yearly service hour requirements. High school student requirements include specific themes related to pillars of Catholic Social Teaching. Students must fulfill these requirements to receive a diploma. Please note, all students should be using MobileServe to report any hours they wish to count towards their service requirements. If you have questions about using MobileServe, how to sign up, or how to document hours please visit our informational webpage or contact the Director of Service and Justice, Mr. Flaherty. 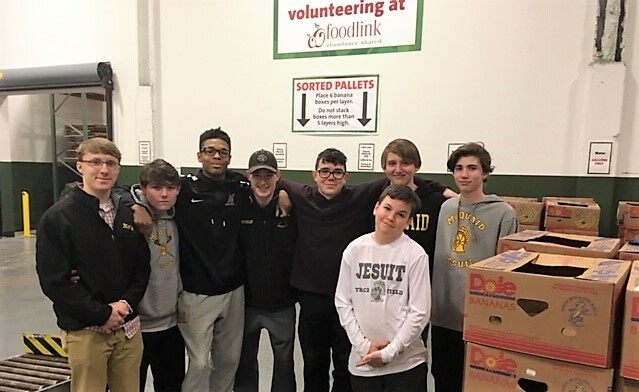 McQuaid Jesuit seeks to education the whole person – mind, body, and soul – and inspire young men to realize their God-given gifts through the pursuit of excellence in all things, service to others, and a life-long commitment to justice. As such, we strive for excellence in service to the community at large and to challenge our students to get outside their comfort zone. Christian service involves work done for the good of others without monetary compensation. Christian service is also done when students work without reward or an achievement of rank or status in an organization. Such work can be completed for a variety of organizations or individuals in need but should have a focus on serving those “on the margins of society,” underserved populations, or with a recognized 501(c)(3) non-profit organization. Except in extraordinary circumstances, service hours cannot be completed for family members. 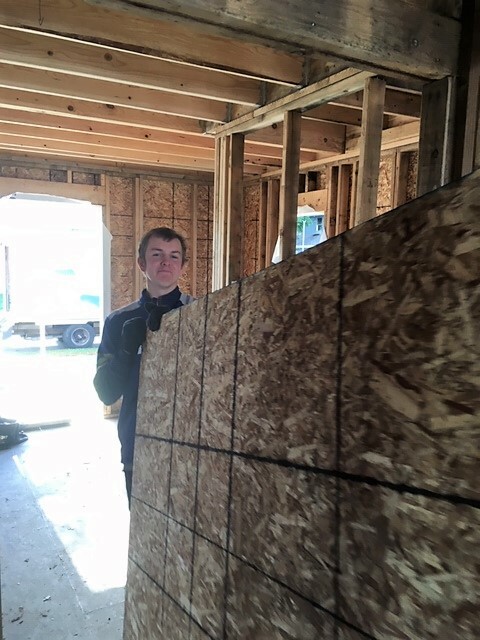 Service for McQuaid Jesuit’s program cannot also be counted for some other requirement such as: Confirmation projects, Eagle Scout projects, Counselor In Training programs, etc. Questions regarding service hours and what qualifies for service should be directed to the Director of Service and Justice. Students should be aware that they represent McQuaid Jesuit’s values at all times when they participate in Christian service activities. Students should be respectful of staff, other volunteers, and those they serve at any organization or event they volunteer with and recognize that they are guests among that community. Students are expected to work hard, take initiative, and be good ambassadors for McQuaid Jesuit. Students must be responsible in the use of their cars. The school is not liable for any infractions that happen during release-time. The school may take action if the infraction reflects on the reputation of McQuaid Jesuit. The Middle School has its own requirement of five service hours per year for 6th, 7th and 8th grade. No themes are attached to the service requirements. Any student that transfers into middle school at McQuaid Jesuit will receive five credit hours for the year(s) they were not enrolled at McQuaid. All middle school students must complete the 15 hour requirement before the end of 8th grade to be eligible to move from middle school to high school. Students can contact the Director of Service and Justice for suggestions of appropriate volunteer activities. All high school students must complete a minimum of 100 hours of Christian service. Service hours completed in middle school do not count towards the high school requirement. Service hours can be completed starting the summer before Freshman year and must be completed before graduation. Any student who transfers into high school will receive 25 credit hours for the year(s) they were not enrolled at McQuaid. Students who perform volunteer work while absent on a regularly scheduled school day will not receive credit for that time. Service hours are divided into yearly “theme” and “non-theme” hours as described below. Theme hours are expected to involve direct encounter with the people to be served as much as possible. It is recommended that students complete 25 service hours each year, including theme hours, to remain on schedule to complete 100 hours before graduation. All students are encouraged to continue in the “MAGIS TRADITION” to go beyond the minimum requirements in the spirit of doing “the greater good” for others. Seniors who have gone well above the requirements are acknowledged at the Spring Awards Assembly. There are three different service themes associated with Freshman, Sophomore, and Junior year. These themes are meant to encourage students to engage in different types of service and encounter a variety of people. It is recommended, but not required, that students complete the theme hours associated with a year during that year. Students can complete theme hours at any time; for example, the Junior theme hours could be completed during Freshman year or the Freshman theme completed during Sophomore year. The Freshman theme is “Care for God’s Creation” and should be focused on service to the environment or nature. Students are required to complete 10 service hours for this theme. 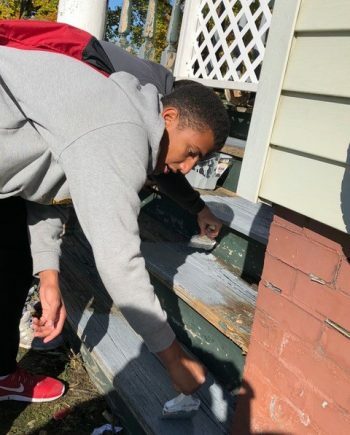 Examples of service that fulfills this theme include neighborhood clean-ups, work with animal shelters or environmental organizations, park beautification, etc. The Sophomore theme is “Life and Dignity of the Human Person” and should be focused on recognizing the dignity of others and helping people lead fulfilling lives. Students are required to complete 20 service hours for this theme. Examples of service that fulfills this theme include work with the elderly, children, individuals with disabilities, pro-life causes, etc. This could be volunteering at an assisted living facility, helping tutor young kids, or assisting individuals with disabilities to play sports. The Junior theme is “Option for the Poor” and should focus on service to the hungry, homeless, or those affected by poverty. Students are required to complete 20 service hours for this theme. Examples of service that fulfills this theme includes volunteering at a soup kitchen, homeless shelter, food bank, or with an organization working with refugees to name a few. All Seniors must complete a Capstone Service Project. The Capstone Project is a 25-hour, standalone project intended to be the culmination of a student’s service learning during his high school career. The Director of Service and Justice must approve all Capstone Projects and any hours volunteered towards a project that has not been approved cannot be counted. A full description of the guidelines and some project suggestions can be found on the Capstone Service Project webpage. The other Senior requirement is of course that all students must complete at least 100 hours of service before graduation. Any student that does not complete the hours requirements before graduation may have their diploma withheld. Please note, the 25 hour Senior Capstone is a part of not in addition to the 100 hour requirement. St. Joseph’s House of Hospitality, Catholic Worker House – Founded by Dorthoy Day, the Catholic Worker movement is dedicated to serving the poor and resisting social injustice. 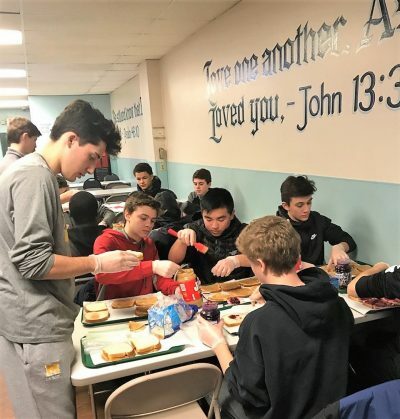 The St. Joseph’s House serves meals and provides shelter to the poor and homeless of Rochester. Volunteer opportunities include helping serve and set up meals and staying overnight assisting those offered shelter. Anyone interested should contact James Murphy at rochestercatholicworker@gmail.com. Hours fulfill Sophomore or Junior themes. House of Mercy – Founded in 1985, the House of Mercy is open 24/7 serving those affected by homelessness in Rochester. 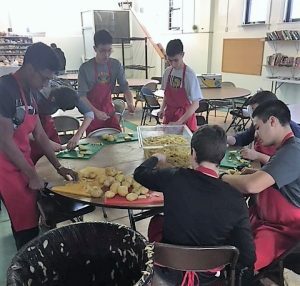 Service opportunities include working in the kitchen preparing and serving food, helping in the clothing distribution room, and working at the front desk as a greeter. Contact Kelly Finnigan ‘88 for more information at kfinnigan@frontiernet.net. Hours fulfill Junior theme. Cameron Community Ministries – Being a “Man for Others” includes being a role model. Cameron has been serving the Cameron St.-Lyell Ave neighborhood for over 30 years. They help provide donations, serve meals, and most importantly offer an afterschool program for those in the neighborhood. If you like getting to work with younger children, Cameron needs volunteers for its afterschool program (3:30-6:00pm) tutoring, playing with, and setting examples for children from kindergarten to six years old. Contact Katherine Sime at katherine.sime@cameronministries.org to figure out how you can help. Hours fulfill Sophomore or Junior themes. Mary’s Place Refugee Outreach – Mary’s Place helps provide the many refugees resettled in Rochester with donated clothes, English language tutoring, and other services. Students get to help sort donations and interact with clients. Times to volunteer are after school until 5:00pm Monday-Friday or during the day Saturday. Contact marysplacevolunteer@gmail.com. Hours fulfill Sophomore or Junior themes. Saint’s Place – Saint’s Place is another organization that supports refugees by providing household goods, clothing, and educational opportunities to those resettled in the Rochester area. 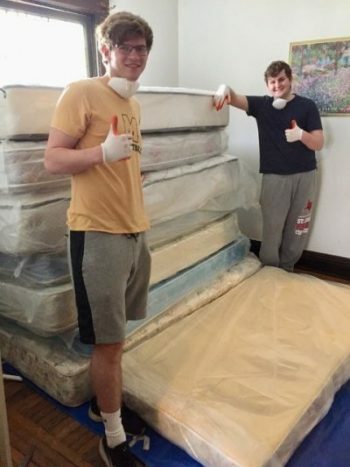 They help set up new apartments for dozens of refugees every year! Volunteers can help with tutoring, work in the Clothing Closet, or assist with delivering supplies and furniture to refugees at their new homes. Only open daily from 8:00am-4:00pm, Monday-Thursday. 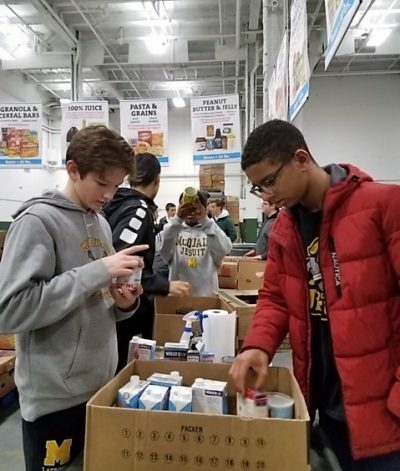 Students can volunteer here on days off or during school breaks. Contact Michele Quinn at michele@saintsplace.org for more information on how to help. Fulfills Sophomore or Junior themes. Foodlink – Foodlink is the largest food bank serving the Rochester area along with the surrounding counties. Foodlink partners with a network of human service agencies to provide food to those in need and target the root causes of hunger. With more than 1 in every 7 Americans, and 1 in 5 children, facing food insecurity and hunger on a daily basis, Foodlink provides important solutions to a major issue. You can find out more about Foodlink, how to donate, and how to volunteer from their website. Hours fulfill Sophomore or Junior themes. Heart & Seoul Camp – Heart and Seoul is a Korean culture camp offered by McQuaid Jesuit. The camp is open to anyone who wants to learn more about Korean culture, history, and heritage. 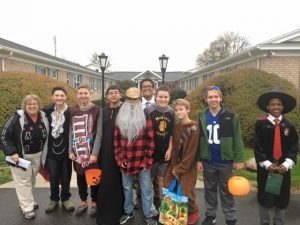 McQuaid Jesuit students ages 13-18 are needed to volunteer as CITs (counselors in training) and counselors working with the younger children. McQuaid Jesuit students get the unique opportunity to volunteer along side students from Sookmyung Women’s University in Seoul who will be leading many of the activities around Korean history and culture. This coming year the camp will be run from Friday, July 12th to Sunday, July 14th, 2019. Interested students should contact Mr. Hood for more information. Hours can fulfill the Sophomore theme. Nativity Preparatory Academy – Following the Nativity model established by the Jesuits, Nativity Prep offers a tuition-free and values-based education to 5th through 8th grade students who were not well-served by the Rochester City School District and who come from economically disadvantaged families. One of things they do differently is offering daily, after-school enrichment activities. They are looking for students interested in working with children who would be able to help tutor in various subjects, coach sports like soccer or basketball, or moderate other enrichment activities. Volunteer obligations would be once or twice a week after school. Nativity Prep is located only a couple miles away from McQuaid right off of Clinton Avenue. Please contact Ms. Meredith Smith (msmith@nativityrochester.org) if interested. Hours volunteered here would fulfill the Sophomore and Junior themes. Greenovation Inc. – Greenovation focuses on waste diversion and the recycling and reuse of items so they do not end up in a landfill. 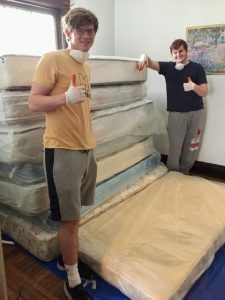 Instead of simply throwing household items away, Greenovation helps people reuse these items and educates the community on environmental impacts of landfills. They need volunteers most Saturdays anytime from 10am-4:30pm. To learn how to volunteer or get additional information please contact Sheryn Kelderhouse at sherynsenn@gmail.com. Hours fulfill the Freshman theme. These are just a few of the many organizations in the Rochester area. Please contact Mr. Patrick Flaherty in Campus Ministry with questions about these organizations or about what types of service might count for certain theme hours.